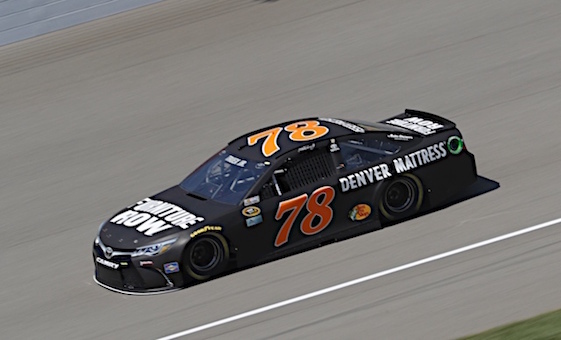 KANSAS, Kan. – NASCAR’s seemingly unending marches back to the drawing board will continue in 2017 as officials announced updates to its performance and safety packages Friday at Kansas Speedway, site of this weekend’s racing. As they have in the many of the recent performance rules, the changes for next year will concentrate on aerodynamics and the lessening of downforce. The hope is to create better racing for fans, NASCAR vice president Gene Stefanyshyn told reporters. Many drivers have been lobbying for smaller spoilers and splitters. Six-time champion Jimmie Johnson was asked about the new rules on Friday.